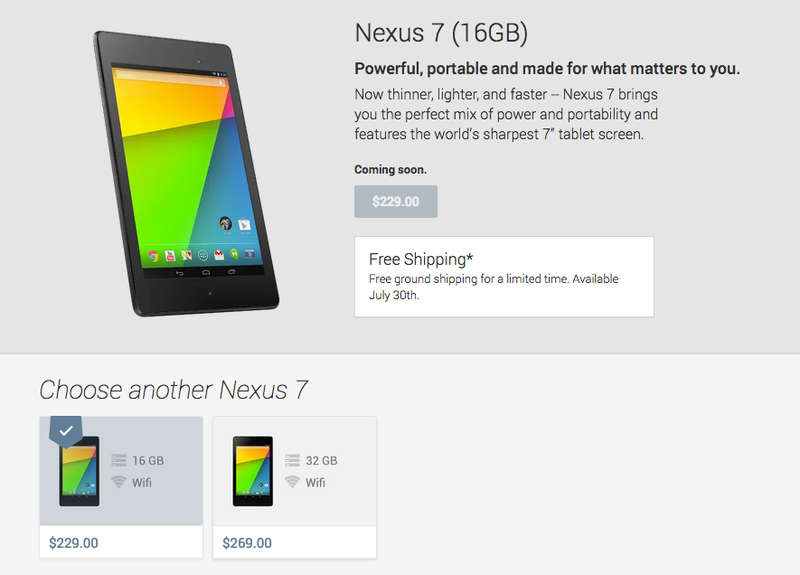 If you are ready to throw money at your computer’s monitor, then head to Google Play and bookmark the new Nexus 7 pages for when they go live. Orders aren’t yet available, but it’s a good place to keep an eye on if you want to be one of the first to own it. In addition, the new Chromecast dongle is up and available for purchase, listed at $35. The 16GB WiFi-only model of the Nexus 7 start at just $229, bringing a Full HD display, dual stereo speakers, a quad-core Snapdragon processor, 2GB of RAM and a whole bunch of other goodies. The 32GB WiFi-only is priced at $269.99. For those that want the LTE variant, you will need to wait just a bit longer as there is no specific launch date available.